Two weeks ago, LinkedIn ran a conversation about how remote working had a troubled future, all started from an article posted by the Atlantic When Working Fom Home Doesn’t Work. The article ostensibly stems from the decision by IBM to recall a bunch of remote workers back into the office. The article goes on further to declare that working from home can be more productive, if your job is inherently individual – like a columnist, sales executive, or consultant. However, jobs that require more collaboration work better when in person, and technology hasn’t flatted something called the “Allen Curve” as much as people have hoped. I have mixed feelings about this chain, and I think at least part of it is because I love working from home. Ultimately though – I don’t think there’s a troubled future ahead for working from home. For one, studies have also shown that people who work remotely are less likely to leave their jobs, and of course save their employers money because they can pay them less, and don’t have the overhead of putting them up in an office space. (The study also showed that they don’t have the same career options or support as people in office, but that’s another story). For another, it’s a great way to get talent companies may not be able to get otherwise. Some cities have really small tech fields, and may not always be able to find that Go/Python/Ruby/K8s expert that is needed. And people are not always willing to pick up their life and move to another state. They have family ties, they have financial ties, sometimes they have cattle… (seriously). So if companies can allow us to work remote, then employees are more likely to be willing to sign up for a company that might be difficult for them to swing otherwise. If the employee doesn’t have to move, then you also can live in cities with a lower cost of living. I don’t know if you’re aware, but San Francisco is an ungodly expensive place to be. My husband and I have already committed to never move there, because it would just be a really different way of life. I like owning a home, and being able to save a lot of my income. That’s not something I could ever do in New York City or most of California. 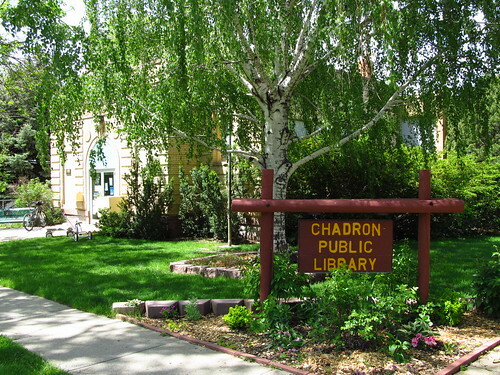 But, by working remote I could move to Chadron, Nebraska. I am much more likely to work for a company that will let me work where I want, because I can probably work for less money, and still have the way of life that I want. From a business perspective, remote work can help contribute to the follow the sun model of your business. Especially from an Ops perspective, this is a great benefit. No longer do companies have to worry about “on call” in a 24x7 work life – because there is somebody ahead of you who can cover the night. Companies don’t have to pay shift differentials either! And your Ops people have less burnout. It’s not all roses though. I do believe that people working remote need to spend time in person. So maybe your company contributes some of its saved salary or office space expenditures into a monthly, bi-monthly, or quarterly get together. Perhaps a company keep all its employees within a region so they can meet up with just a few hours of driving. Building relationships only goes so far when remote, and it does help to strengthen those ties with in person communication (and not just gchat or Trello). Working remote requires that companies put in extra effort to make sure that teams are communicating well, and that you don’t feel isolated. It takes work. You have to leverage every bit of technology you have, and figure out how to structure your projects. Projects don’t work the same way when people are spread out over different time zones. Pair programming in particular can be difficult if one member is in California, and another in Paris. Remote work also requires people who can handle spending a lot of time on their own. It’s not for everybody. But I think it’s the way tech will continue to go. © 2019 Tracy Roesler. Powered by Jekyll using the So Simple Theme.